The best way to prevent fraud is to stay informed, aware, and on top of your finances. The nature of fraud is to deceive, so it's often difficult to recognize when you've gotten involved in a fraudulent situation. Unfortunately, getting out of the resulting mess can be made more difficult by the false, missing, or misleading paper trails that fraud may leave in its wake. If you have to give out your name, credit card number, or Social Security number (or you've had them stolen), others can use that information to assume your identity, spend your money, or make you liable for debts or charges. Unfortunately, almost 18% of Americans have been subject to ATM, debit, or credit card fraud, according to The Pew Research Center. Be very cautious about giving people—even friends—your key numbers and information, since they might be less careful than you. Don't make theft easy—choose unique PINs, and avoid using your Social Security or other easily identifiable number combinations. Don't write PINs on cards or keep them in your wallet. Check your credit card bills carefully to be sure you authorized all of the charges. If you do lose your cards or codes, make sure you have a list of the relevant numbers in a secure place, along with ways to invalidate missing cards, passwords, and other important information. Written or printed records or notes can be found by anyone, so make sure you tear up receipts before you throw them away. Complaints of online fraud have been on the rise for several years. But you can escape the fraud trap by being clear about who you're working with, what you're being offered, and when and how you can get out of any quick commitments. Hard sells that demand instant action or payment should be treated with caution. One way to ensure your safety is to evaluate any online pitches very carefully. If something seems too good to be true, it may very well be. You're probably familiar with phone calls offering you free trips, discounted magazine subscriptions, and other special offers. 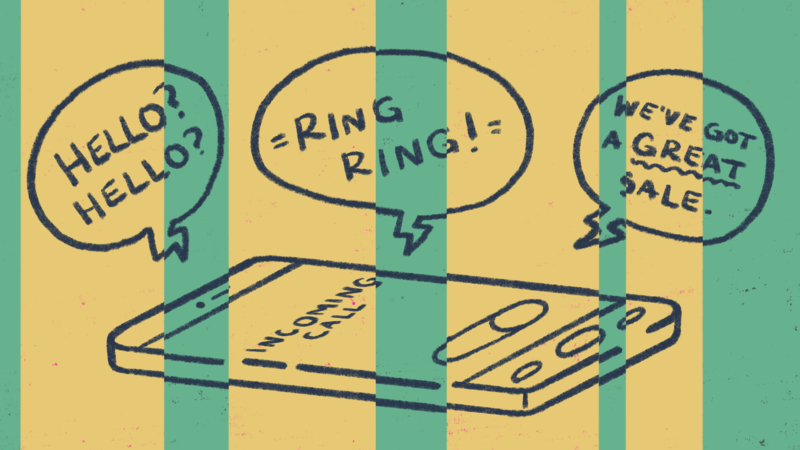 These calls are the most common form of telemarketing, and they're extremely common in the US. Many telemarketing calls are completely legitimate. But according to the National Consumers League, at least 92% of Americans have received a fraudulent telemarketing call—and older women are often the targets. How do you avoid illegal telemarketing schemes? First, try to deal only with companies you're familiar with or have done business with in the past. If you get a call from a company you don't know, ask them to send you information in the mail regarding their products or the specific offer. Before you agree to buy anything over the phone, it's a good idea to have the offer in writing. If you receive a telemarketing call that you suspect is fraudulent, you can report it to the Federal Trade Commission (FTC) by filing a consumer complaint form. For more information, you can call the FTC at 1-877-FTC-HELP. The best defense is to keep close tabs on your accounts to be sure you've authorized every transaction. If you have a complaint, spell it out in writing, first to your adviser and perhaps your adviser's supervisor. And always keep a copy. If you want to learn more about fraud and how it can affect your financial security, check out the National Consumer League’s Fraud Information Center's website at Fraud.org.